They had me on their side till they stepped out of their pants! These professionals put their lives on the line to serve and to protect. For this we should be grateful and we should reward them accordingly. This reward, in the matter of pensions, was negotiated by the government and I believed that it wasn’t right to go back and change the conditions of these contracts after the fact. If bad decisions were made and the pension payout was too generous, perhaps don’t claw back on current ones, change all future ones. Alternatively, renegotiate conditions and salaries at the next round of negotiations. But retroactively change what was promised to these professionals who risk their lives for us? I’m not so sure. At least that’s how I began thinking when this latest labour crisis began. But then came the stickers on cars and trucks, camouflage pants and armed protesters in front of city hall, sirens blaring, blocking traffic at city halls, both downtown and here in the suburbs, and that’s where I lost it, and them. I grew up being taught to have great respect for the uniform. 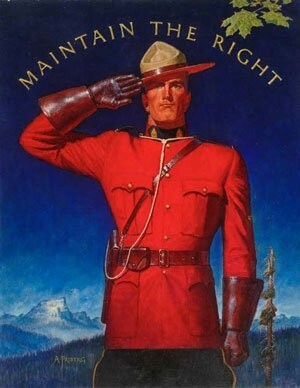 The photos of my dad in his neatly pressed RCAF uniform, of the iconic RCMP officer in his crisp red serge, of movies about heroes in decorated uniform are burned into my psyche as an image of great respect, of enormous civic pride. I have passed this notion on to my children too, especially my son who reveres anyone in uniform, from the police officer and firefighter to the security agent and ambulance crews. How do I explain the “soldier” pants? If I showed up wearing camouflage pants to work I’d be sent home to get changed. If I plastered stickers on a police car, fire truck, or city bus I would be arrested and charged with vandalizing public property. The police and other civil servants are equal to me, and you, under the law. We must follow the same rules of law and order. And when they break with the public trust they have lost the public trust. 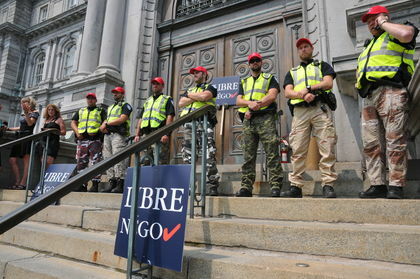 I am deeply disturbed by images of Montreal police officers in militia gear. 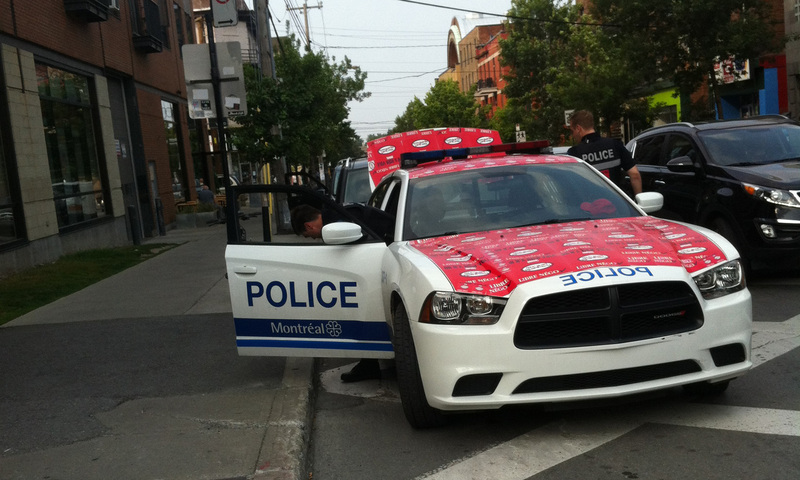 I am angry as hell when I see a million dollar Montreal fire truck whiz by that is plastered in stickers. Making a mockery of the uniform is diminishing the respect for their uniform, and their authority. Defacing their vehicles, which we, the taxpayers have paid for, is flipping us the middle finger to say they don’t care about the property we entrust them with. Demonstrating in front of city hall, in uniform, carrying weapons, is so very far from acceptable. This is stepping over the fine line that ought never be crossed by those we hold to a higher standard. These actions make us lose focus on why they’re doing this in the first place. They’ve gone too far and are losing the PR battle and our respect.